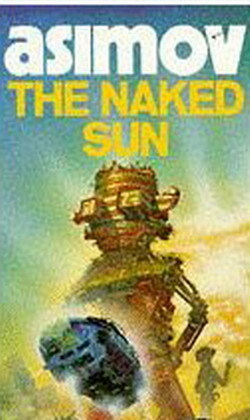 The story arises from the murder of Rikaine Delmarre, a prominent "fetologist" (fetal scientist, responsible for the operation of the planetary birthing center reminiscent of those described in Aldous Huxley's Brave New World) of Solaria, a planet politically hostile to Earth, whose death Elijah Baley is called to investigate, at the request of the Solarian government. He is again partnered with the humaniform robot R. Daneel Olivaw, and asked by Earth's government to assess the Solarian society for weaknesses. The book focuses on the unusual traditions and culture of Solarian society: the planet has a rigidly controlled population of twenty thousand, and robots outnumber humans ten thousand to one, whereas people are strictly taught from birth to despise personal contact, and live on huge estates, either alone or with their spouse only. Communication is done via holographic telepresence (called viewing, as opposed to in-person seeing). Ultimately, it is revealed that Delmarre's neighbor and fellow roboticist Jothan Leebig was working on a way of subverting the robots' inability to kill humans, on the premise that a robot cannot knowingly kill a human or knowingly allow a human to come to harm, but can do either in ignorance. Leebig kills himself before his arrest, in Solarian fear of human contact. Although Delmarre's wife Gladia was an accomplice, Baley conceals her role on grounds that her emotional breakdown was under the pressure of the Solarian way of life, and has her exiled to the Spacer capital planet of Aurora. Thereafter Baley returns to Earth a hero. A more thorough description of the aftereffects can be found in the sequel The Robots of Dawn. We also discover the remote end-point of Solaria's development in Foundation and Earth.